Elias, the narrator, is on board a 30 foot motor yacht with five Italians, who know him only as Arne Diener. They do not know that he is married to Mylonas’s daughter, that there is a personal element to the conspiracy as well—an unusual and doomed love story between the narrator and his bride. They have never met several people who have helped to organize the conspiracy behind scenes, and they are also unaware of “Diener’s” privileged background as the scion of a Greek shipping family. What everyone on board has in common is that they are trying to differentiate themselves from the preceding generation, Elias from his family who are supporters of the junta and the Italians from theirs, who had tacitly accepted Mussolini. 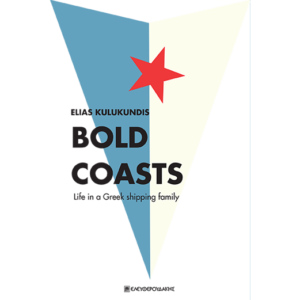 Elias Kulukundis, scion of a Greek shipping family, had spent his twenties, writing, translating and teaching. 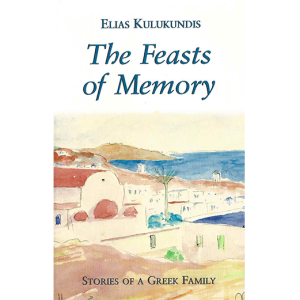 In 1967, while he was trying to write a novel, after publishing his first book The Feasts of Memory, he met and proposed to Eleni Mylonas. After they were married, she applied for her green card so that they could leave the U.S. and come back in. They intended to go to Greece to visit her parents. While they were waiting for the green card to arrive, Eleni’s father, was arrested by the junta and exiled on the island of Amorgos. George Mylonas, was a center-left politician who was a minister in the last freely elected Greek government of George Papandreou (the grandfather) before the military abolished democratic rule in 1967. The Greek junta arrested George Mylonas and exiled him to the tiny Aegean island of Amorgos unlike other members of the government such as Konstantinos Mitsotakis who escaped to France or Andreas Papandreou who was released from prison. Eleni Mylonas went to New York in 1966 on a Fulbright Scholarship to study at the Columbia School of Journalism. She had planned to stay for a year, get her degree, then return to Athens and look for a job. In the meantime, the junta of colonels overthrew the government—Greece was under a dictatorship—and she stayed in New York. She was hired as an editorial assistant at the publishing firm of Doubleday, where one of her first assignments was to edit the manuscript of “Democracy At Gunpoint” by Andreas Papandreou. 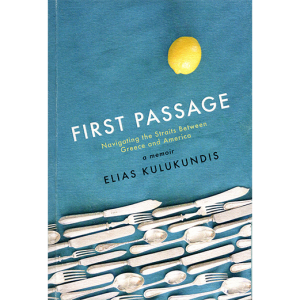 She met Elias Kulukundis in New York, at a party for writers and journalists of Greek descent who were opposed to the junta. Ten months later, they were married. Maria’s family was from Constantinople, but she grew up and spent the war years in Athens. After a first marriage to the Greek ship-owner Petros Bulgarides, she met James Becket on a cruise in the Mediterranean, and after a tempestuous intercontinental romance, the couple were married and had two daughters, settling finally in Geneva, Switzerland. Jim Becket grew up in Lakeville, Connecticut, the son of a Yale graduate and country lawyer G. Campbell Becket and his patrician New England wife Elise. One of three children, he attended Williams College where he was on the ski team, and later got a law degree from Harvard Law School. 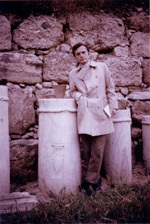 After the junta overthrew the Greek government, Becket was one of the two lawyers chosen by Amnesty International to go to Athens in 1968 to report on allegations of torture in the Athens Security police. His report, published by Amnesty, became the basis of a charge brought by the Scandinavian governments and the Netherlands against the junta before the Human Rights commission in Strasbourg, the European capital that preceded the formation of the European Union in Brussels. 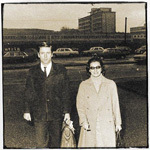 To document the allegations of torture, Jim and Maria Becket organized an underground network to enable people who had suffered torture in Greece and had now been released by the security police, and enable them to travel to Strasbourg to testify at the Human Rights Commission. In the process, Maria Becket became transformed from a former graduate student and housewife into one of the most effective political activists against the junta. A confidante of Konstantinos Mitsotakis and former Prime Minister Karamanlis, she earned the calumny of the left; but to the end of her days, she remained unaffiliated with any political faction, asserting that her only commitment was to human rights. Maria Becket passed away in December 2012, and Konstantinos Mitsotakis, aged 94, spoke at her funeral. 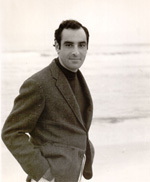 Nicholas Gage, also known as Nicholas Gatzoyiannis, was born in Epirus. He is best known for Eleni, the story of his mother’s murder by the Greek communists. The book was a best-seller and was made into a film, starring John Malkovich. 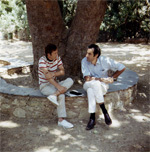 Nicholas Gage and Elias Kulukundis in Kaisariani, July 1969. At the time of The Amorgos Conspiracy, he was between jobs, spending the summer in Greece, having lately retired from the Wall Street Journal, where he had made a strong reputation for investigative journalism. Among the work Gage did that summer were two pieces. One was a collaboration with Elias Kulukundis on an article about the junta eventually published in The American Scholar (the article is available in the bonus material of the book), and the other a report on George Mylonas’s captivity on Amorgos, which was published in the New York Times Magazine (also available in the bonus material). 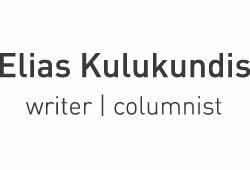 Gage himself was unaware of the plot to free Mylonas, and had asked Elias Kulukundis if his father-in-law would be interested in having an article written about him. Mylonas agreed but cryptically instructed Gage not to publish before checking with Elias first. The Times usually had a six-week back-log but they liked Gage’s article so well that they rushed into print. Elias Kulukundis was just getting on the boat in Italy when he heard that Gage’s article would come out on September 21. Mario is of a wealthy Roman Jewish family. He became a journalist for the daily Espresso. 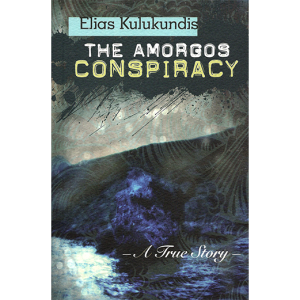 The Mylonas escape from Amorgos was his first big scoop, and after establishing a reputation for reporting on clandestine action, he followed with a number of exposes of the Red Brigades and other underground radical groups. A young Italian lawyer, who acted as captain of the motor-yacht Lady R, worked in his father’s law-firm. He had just become a father himself when he set out on the mission to Amorgos. Was a friend of Lorenzo Sotis’ wife and was working in an art gallery at the time. She and Lorenzo were standing by the rail as the rescue party was sailing southward toward the Straits of Messina. When some friends sailing northward saw them, they raised their eyebrows at the sight of Lorenzo apparently going on a holiday with his friend’s wife. They learned the truth some weeks later when the report of Mylonas’s escape was made public. Anna went on to own her own gallery, and now divides her time between Rome and Dubai. A sailor, Carlo, was employed by the owner of the motor-yacht and instructed to stay with the boat at all times. A thoughtful and philosophical person, he was an arbiter of disputes between the volatile Mario and the more laid-back Lorenzo. Of all the conspirators of Amorgos, he is the only one who has become conservative in his politics. I’ve found this while looking up the details of George Milonas’ escape from Amorgos. I’m a writer who – with my husband, the artist Peter Barrett – lived on Amorgos from 1965 to 1974. It was thrilling for us to learn of the successful spiriting away of Milonas in a Times article published after he reached London safely. If anyone reading this message wants to get in touch, please do so!